It was fifty years ago today- October 11, 1968 the first mission of the Apollo program blasted off from Cape Kennedy, Florida at 15:02:45 UTC. This was the first U.S. Spaceflight to carry astronauts into space since Gemini XII in November 1966. There had been a 21 month delay in manned flights due to the fire in January 1967 which killed the test crew. 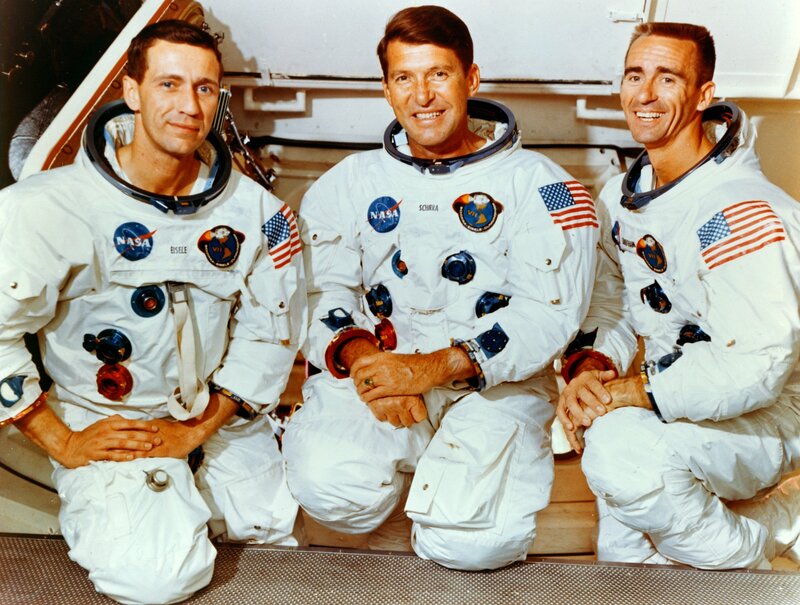 The Commander of Apollo 7 was one of the original seven astronauts Wally Schirra, senior pilot/ navigator Donn Eisele and pilot / systems coordinator Walter Cunningham. The flight would be the final one for all three astronauts-it was the only one for Eisele and Cunningham. The object of the mission was to demonstrate CSM crew performance, demonstrate crew/space space vehicle/ mission support facilities performance during a manned CSM mission, demonstrate CSM rendezvous capability. 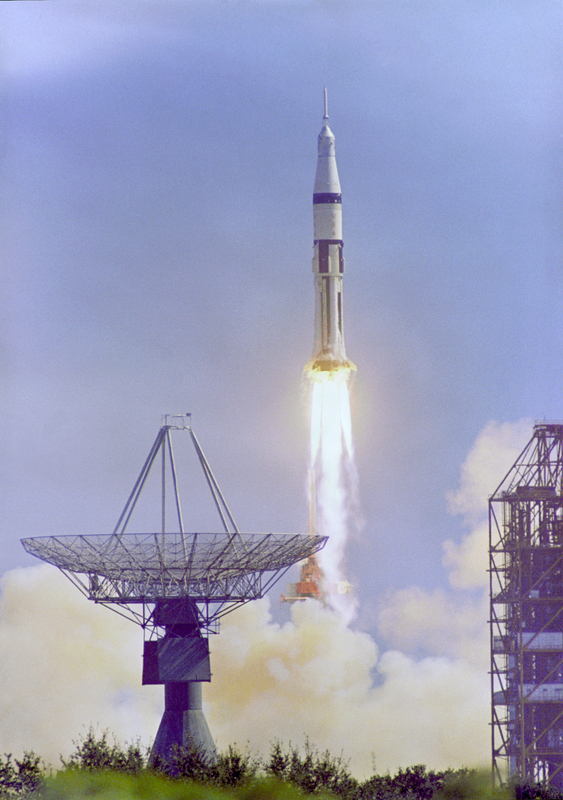 The big one would be coming in December with Apollo 8 which would be scheduled to go around the moon. President Kennedy stated a goal send a man to the moon and back by the end of the decade. It was going to be a close call to meet that goal. I was seven years old at the time and this was my first space flight I followed. I was immediately taken with it. I now had two goals- become a major league ballplayer and an astronaut. I was talking to someone at work and I read this and we were talking about how kids don’t dream of being astronauts anymore… Now that space travel has stopped. I lost most of my interest in the space program once Apollo stopped… just going up in space and hanging out- not inspiring to many people. I thought back then we’d be on Mars by now. Instead we have gone backwards. Sad. I was just 13 months old.